From Afloat and Ashore to The Service Record, camp newspapers kept soldiers informed about the home front, political questions of the day. 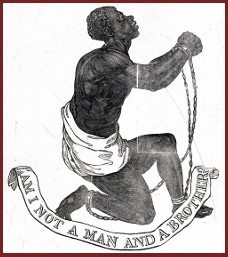 The National Anti-Slavery Standard was the official weekly newspaper of the American Anti-Slavery Society, an abolitionist society founded in 1833 by William Lloyd Garrison and Arthur Tappan to spread their movement across the nation with printed materials. 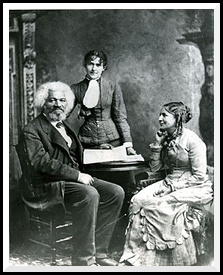 The National Anti-Slavery Standard was established in 1840 by the husband and wife team of Lydia and David Child, who both were affirmed abolitionists as well as recognized successful writers. Using the motto “Without Concealment–Without Compromise” the Standard sought to extend the rights of slaves across the country. It implied not only suffrage rights for colored males, but also advocated suffrage for women. 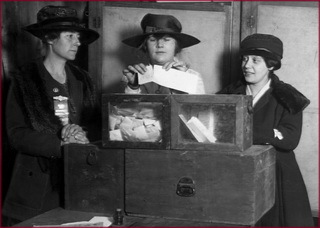 There was an eighty-year struggle for equal voting rights for women that culminated in the ratification of the 19th Amendment to the U.S. Constitution in 1920. 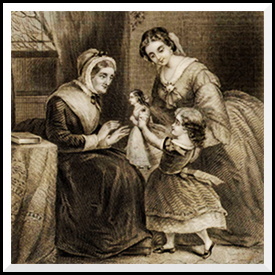 In Philadelphia in 1830 Louis Antoine Godey (1804-1878) commenced the publication of Godey’s Lady’s Book which he designed specifically to attract the growing audience of American women. 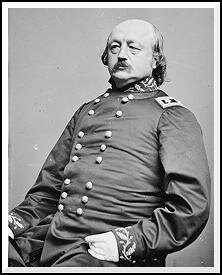 These volumes provide subscribers with a look into the way the Civil War was fought. Here the emphasis is on strategies and tactics as planned and executed by the commanding officers, with a longer-term view as opposed to daily concerns found in The Soldiers’ Perspective collection. 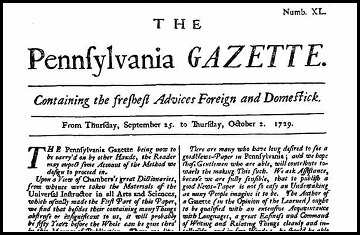 The Pennsylvania Gazette was one of the America’s most prominent newspapers from 1728–before the time period of the American Revolution–until 1800. Published in Philadelphia from 1728 through 1800, The Pennsylvania Gazette is considered The New York Times of the 18th century. The Pennsylvania Gazette provides the reader with a first-hand view of colonial America, the American Revolution, and the New Republic, and offers important social, political and cultural perspectives of each of the periods. Thousands of articles, editorials, letters, news items and advertisements cover the Western Hemisphere, from the Canadian Maritime Provinces through the West Indies and North and South America, presenting a detailed glimpse of issues and lifestyles of the times. Our enormous collection of African American newspapers contains a wealth of information about cultural life and history during the 1800s and is rich with first-hand reports of the major events and issues of the day. Never before has such important original source material–written by African-Americans for African-Americans–been readily available for research and fresh interpretation by historians, sociologists, educators and students. 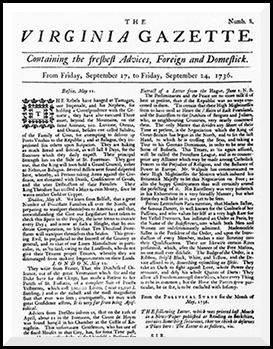 Published weekly in Williamsburg, Virginia between 1736 and 1780, The Virginia Gazette contained news covering all of Virginia and also included information from other colonies, Scotland, England and additional countries. The paper appeared in three competing versions from a succession of publishers over the years all under the same title. 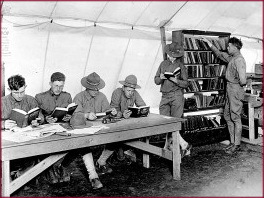 Accessible Archives utilizes computer technology and a large team of conversion specialists to provide easy to use access to vast quantities of archived historical information previously available only in microformat, hard copy form or as images. Diverse primary source materials reflecting broad views across American history and culture have been assembled into comprehensive databases. These databases allow access to the rich store of materials from leading books, newspapers and periodicals then current. We will continue to add titles covering important topics and time periods to assist scholars, professors, students, genealogists and historical societies in their pursuit of knowledge. We have retained Unlimited Priorities as our exclusive sales and marketing agent. 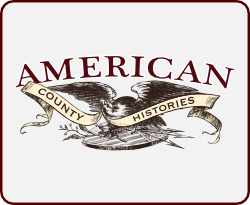 Accessible Archives, Inc. was founded in 1990 with the goal of utilizing computer technology to make available vast quantities of archived historical information, previously furnished only in microformat, hard copy form or as images only. Accessible Archives' databases contain the rich, comprehensive material found in leading historic periodicals and books in a user-friendly online environment. Get the latest news and information about Accessible Archives, Inc. including event appearances, press releases, and product enhancements. Get the most from your Accessible Archives databases subscription by exploring the many search options described in our comprehensive user manual.